A new international partnership will help bolster Indiana State University's human resource development program. Indiana State has entered into an agreement with Al Akhawayn University in Morocco to develop greater collaboration and partnership. The agreement calls for cooperation in exchange of professors, technical specialists and students; assistance in organizing programs, including summer gatherings and conferences; participation in joint research and "other forms of collaborative programs in areas of mutual interest." "The main purpose is to give students some global perspective about human resource development," said Bassou El Mansour, associate professor of human resource development and performance technologies, who represented Indiana State in developing the agreement. "They know that later on, when they graduate, they are going to work in companies or organizations that will not be limited to the United States. It's more global now, so getting that global perspective will give them some good basics to better prepare for the future. Any student in any field today should be prepared globally." El Mansour traveled to Morocco while working on the agreement with Al Akhawayn, which conducts classes and programs in English. The university hosts students from the United States, though no student from Indiana State is attending, El Mansour said. He hopes for Indiana State students to visit Morocco to learn more about international approaches to human resources, which will benefit their work as professionals. "We cannot communicate diversely if we don't know each other culturally," El Mansour said. "It's very, very important." Al Akhawayn also will benefit from collaborating with Indiana State. 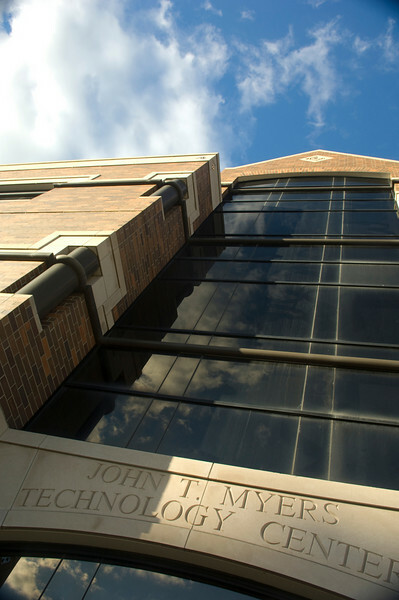 The university does not have classes available via distance education, while Indiana State's human resources development program has distance education coursework. Al Akhawayn also does not have a doctorate program, while Indiana State's Ph.D. in technology management is a good fit for graduates of Al Akhawayn's human resource development program and MBA program as well, El Mansour added. "Through them we can communicate with others and work globally together," El Mansour said of the collaboration with Al Akhawayn. "That's also the purpose of the agreement." E l Mansour has already collaborated with Al Akhawayn. 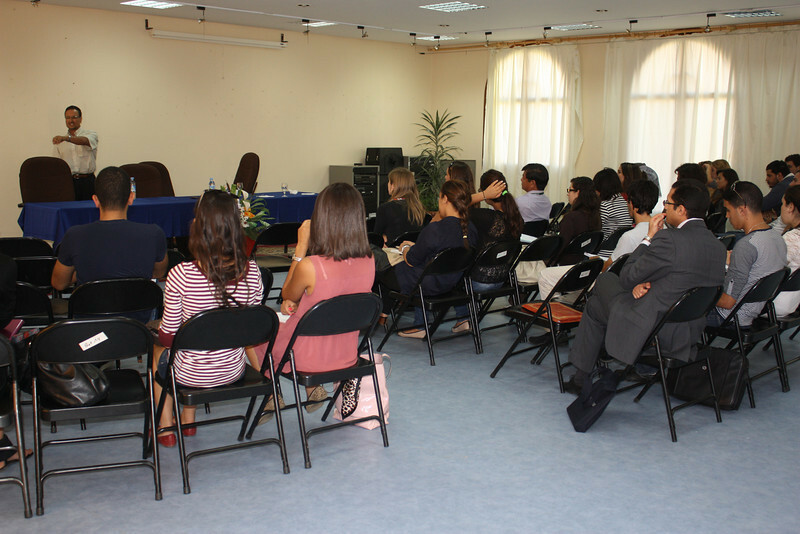 While in Morocco to discuss the partnership agreement, he gave a presentation on cross-cultural training to students and faculty members at the university. He also discussed workplace skills and skill gaps at a conference co-organized by the U.S. Chamber of Commerce in Casablanca, which is the largest city in Morocco. "I told them that since we are talking globally, we need to focus on innovation and creation in our students," El Mansour said of his conference presentation. "That's what will be the next employability skill, and our resources will not be only the textbooks, but what is going on in the world around us." Several Al Akhawayn graduates have already studied at Indiana State as international students. Now that the agreement has been signed, both universities can begin to work on developing different areas where they can create new projects. "International partnerships provide great opportunities for our students and faculty, not only for those traveling abroad, but for those who work with international students and faculty coming to Indiana State," said Bradford Sims, dean of the College of Technology. "With this new agreement, we will develop new opportunities not only in our human resource development program, but also to benefit our partners at Al Akhawayn University." Photo: http://isuphoto.smugmug.com/photos/i-F3xCHT9/0/L/i-F3xCHT9-L.jpg (Submitted Photo)Bassou El Mansour, associate professor of human resource development and performance technologies at Indiana State University, gives a presentation at a conference in Casablanca, Morocco. El Mansour represented Indiana State in negotiating an international partnership with Al Akhawayn University in Morocco. Indiana State has entered into an agreement with Al Akhawayn University in Morocco to develop greater collaboration and partnership. The agreement calls for cooperation in numerous areas, including professor and student exchanges.